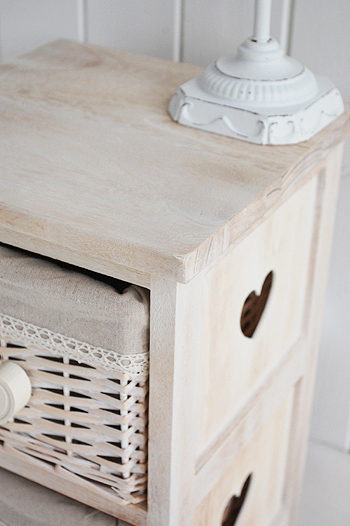 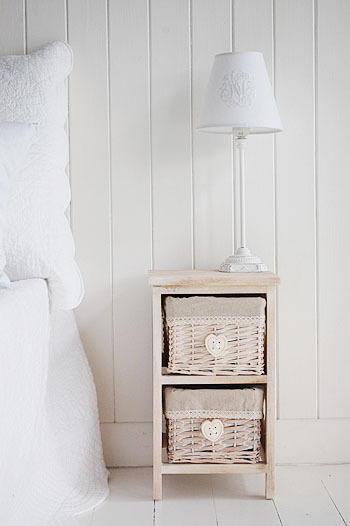 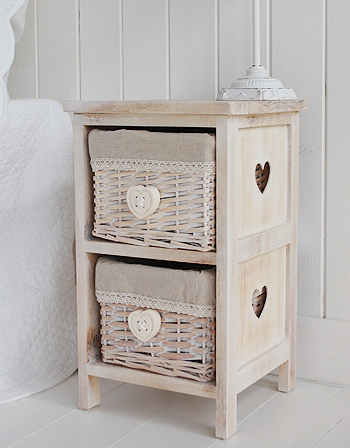 A small bedside table with two lace trimmed lined basket drawers. 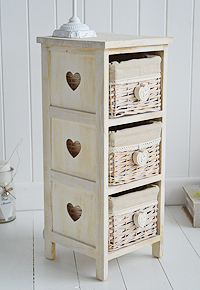 The hanging heart handles perfectly complement the cut out hearts on the side. 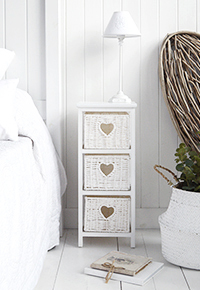 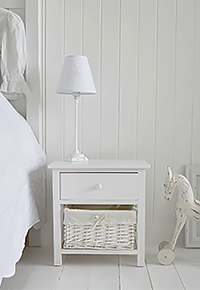 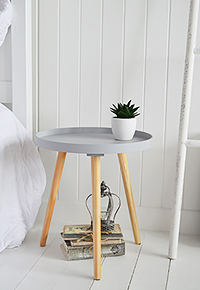 A compact narrow bedside table with two drawers in a natural wood finish, the heart bedside table is perfect for when space is tight in a small bedroom beside the bed. 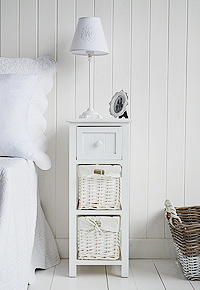 Ideal in a girls bedroom, the colour will blend seemlessly with all styles of bedroom interiors and give the all important bedside storage. 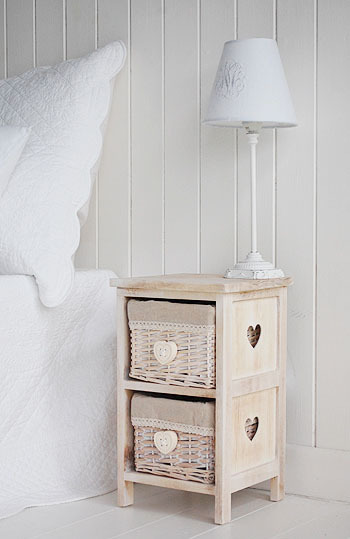 The two lined basket drawers easily pull out and are great for storage of phones, cables and other bedside bits and bobs as well as underwear. 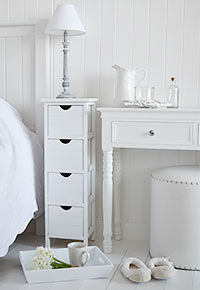 "Make your bedroom feel complete"